This gig has the potential to boost your site traffic by 30% or more. Protect your website from Google algorithm updates, by using on-page optimization. Improve your site content, and make it more attractive in search results. On-Page SEO is where it's at right now, especially after the Google Penguin update of October 4, 2013 I will use this super plugin to help you lay the foundation of solid on-page optimization for your site. 1) Install Yoast. If it is already installed, I will review the settings for you. 2) Migrate from All In One SEO plugin. 3) Configure Yoast the correct way for your site. If you need to optimize more pages, buy more copies of this gig, or contact me for a quote. This gig is an On-Page optimization service. Nothing to do with backlinks. Your site can never be penalized as a result of this gig. 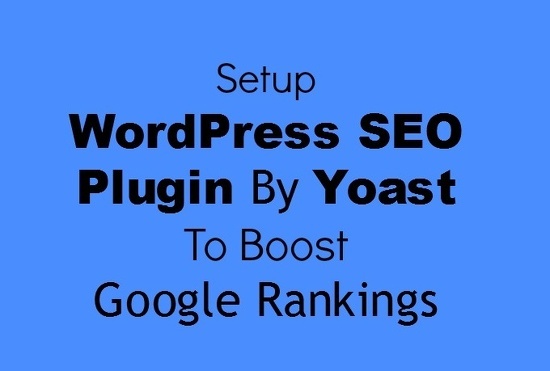 I will install Yoast wordpress Seo plugin & do onpage SEO optimzation is ranked 5 out of 5. Based on 21 user reviews.